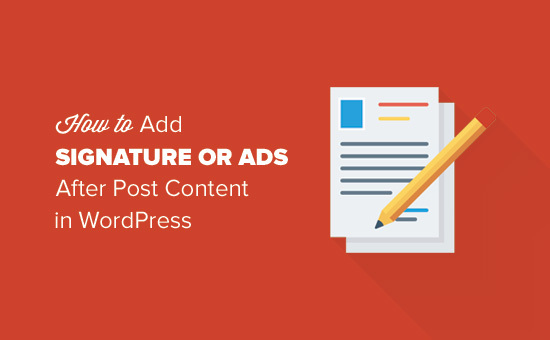 Do you want to add a signature or advertisement after your blog post content in WordPress? By default, WordPress does not come with an easy way to display signature or ads after post content. In this article, we will show you how to easily add signature ads after post content in WordPress. First thing you need to do is install and activate the Insert Post Ads plugin. For more details, see our step by step guide on how to install a WordPress plugin. 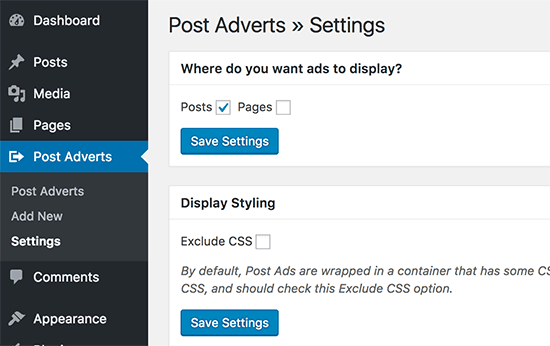 Upon activation you need to visit Post Adverts » Settings page to configure plugin settings. On the settings page, you need to select where you want to enable post ads. You can enable it for posts, pages, and custom post types. Next, you need to go to Post Adverts » Add New to create your signature or advertisement. Simply provide a title for this particular signature or after post ad. In the box below, paste your ad code, signature, or any HTML or text you want to display. 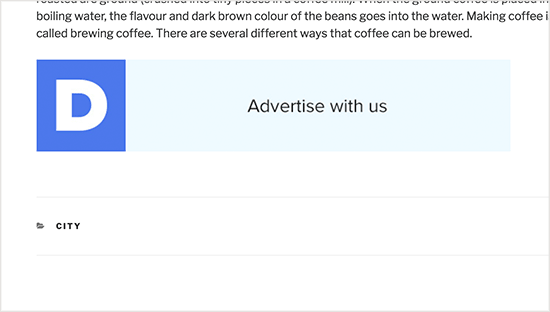 Next, you need to select ‘After content’ next to ‘Display the advert’ option. You also need to enter 1 in the field next to it. Don’t forget to click on the publish button to make your ad available on your website. That’s all, your after post ad or signature is now live on your website. You can visit a post or page on your site to see it in action. This method requires you to add code to your WordPress files. If you haven’t done this before, then please take a look at our beginner’s guide on adding code in WordPress. Don’t forget to replace the value of $content with your ad code, image, or signature you want to display. You can now visit your website to see your signature ad in action. 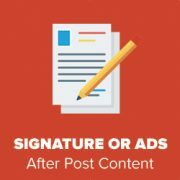 We hope this article helped you add signature and ads after post content in WordPress. You may also want to see our guide on the best ad management plugins and solutions for WordPress. Thanks for the post It worked for me, how ever how can i add a title to it? i am using the second method on my site to display ads, i want to add a title to it like, “others are reading this” how can i achieve this? You would need to add the html for what you are using on your theme for titles in terms of h tags to add a title using that manual method. Thanks you 2019 Still Working!! Thank you for your article. The plugin still works well. What if I would like to add ads before post (in the beginning) content and tittle? Thanks that is really interesting but it does just add the text to the screen output, can that signature be automatically added to the contents that is written to the table. I’m using code snippet and inserting the signature code into the snippet editor but when I add the image url into the content – it just shows as a link written out into text. How do I add image link into content block so it shows as an image? Thank you for the information. Used the second method. Works perfect. Thanks ! Can we do that for a particular category? 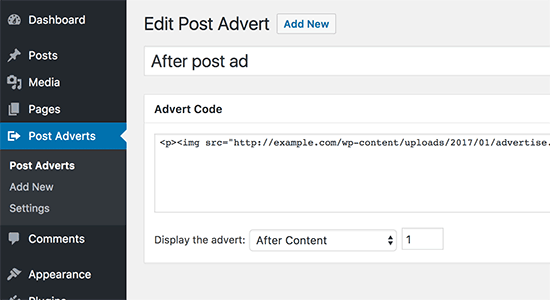 Question: Insert Post Ads, according to the WordPress plugin page says it hasn’t been updated in two years and is only compatible up to WordPress 4.3.8.– so will you be updating it so can be used? The plugin still works just fine that’s why we haven’t updated it. It has no bugs or issues. We will push out an update soon.